“Urgent Care Apps Market” Report Includes the Company Profile, Product Specifications, Capacity, Production Value and Market Shares, Market Forecast, Analysis of Industry Chain Structure, Economic Impact, Market Dynamics, and Proposals for New Project. Manhattan, United States - April 10, 2019 /MarketersMedia/ — Urgent care apps are smartphone applications that can be remotely accessed. These apps allow the user to speak to registered nurses who can answer the user’s medical questions, and if needed a licensed physician can call within a few minutes. It can notify nurses and doctors about emergencies. In addition, users or patients who are seeking medical care are it for themselves or others, especially during emergency or specialty care, can use these apps and receive the required help from online doctors. Global Urgent Care Apps market is accounted for $312.93 million in 2017 and is expected to reach $6,382.75 million by 2026 growing at a CAGR of 39.8%. Growing demand owing to growing focus on patient-centric healthcare delivery and increase in penetration of 3G and 4G networks are some key factors influencing the market growth. However, poor internet connectivity in developing countries is restricting the growth of the market. In addition, the awareness about medication management apps and rising population of smartphone users are providing ample of opportunities. Some of the key players in Urgent Care Apps market include are: Johnson & Johnson (Johnson & Johnson Health & Wellness Solutions, Inc.), Alayacare, Allm Inc., Pulsara, Medisafe, Siilo, Patientsafe Solutions, Vocera Communications, Argusoft (Triagetrace), Forward, Pivot Design Group (Viatherapy), Smartpatient (Mytherapy), Twiage, Voalte, Hospify, Imprivata, and Tigerconnect. The pre-hospital emergency care & triaging apps segment accounted for the largest market share in the global market due to owing to the increase in a number of emergency cases registered in hospitals that include chest pain, various injuries, fever in children, and others. By geography North America is anticipated to dominate the global market due to growth in focus on improving the quality of health care services, a large number of smartphone users, and well-established high-speed internet network. 5] Strategic analysis: Drivers and Constraints, Product/Technology Analysis, Porter’s five forces analysis, SWOT analysis etc. 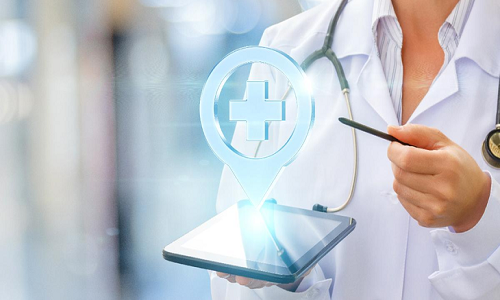 The Global Telemedicine Market is accounted for $21.56 billion in 2017 and is expected to reach $93.45 billion by 2026 growing at a CAGR of 17.7% during the forecast period. Some of the key factors influencing the market growth include rising prevalence of chronic diseases, favorable government initiatives, telecommunication growth in BRIC countries and growing medicare reimbursement for telehealth services. However, privacy & security concerns and high infrastructure cost are hampering the market. In addition, growing acceptance of 4G and 5G spectrum provides huge opportunities for the players in the market.